Is there anything better than a warm, fresh from the oven slice of banana bread? No, I submit to you that there is not. 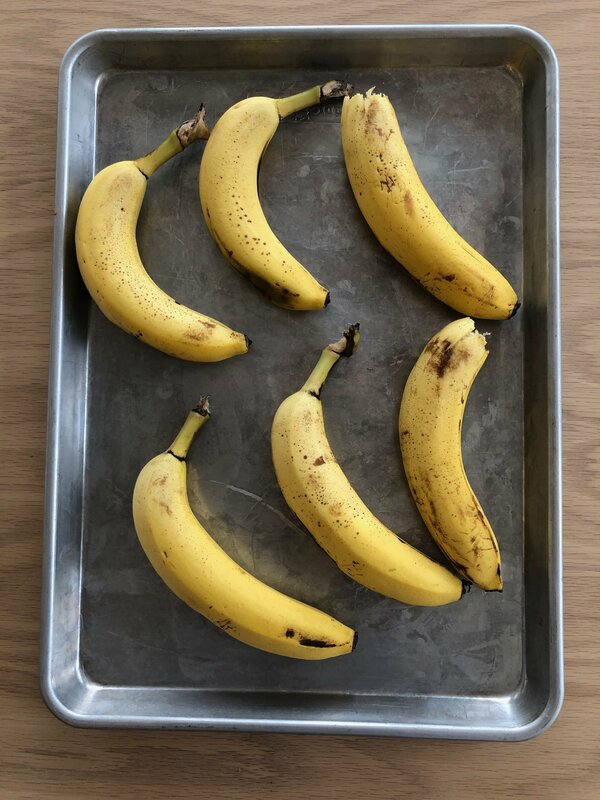 I love baking and eating banana bread, but I’ve always found it a little bit tricky because you have to time it just right with your browning bananas. 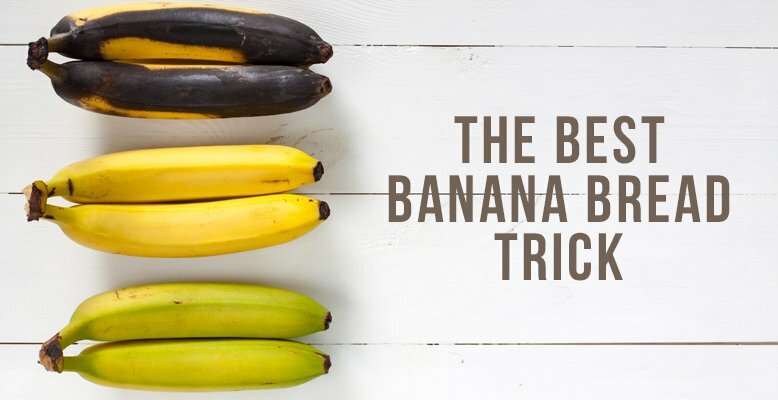 If you use bananas that are still ripe it never tastes as good, and if you wait too long, you get moldy, fruit fly infested bananas, and that is just gross. 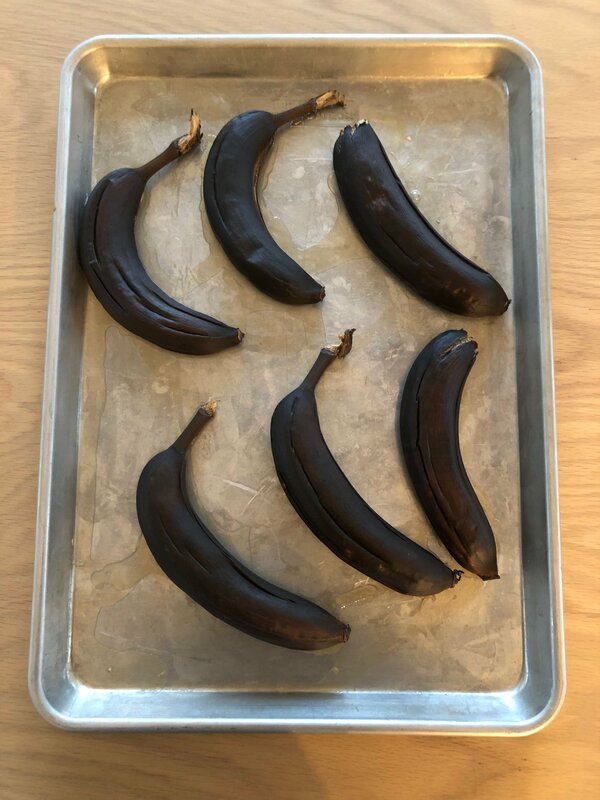 I can’t tell you how many times I’ve missed the perfect “bananas are ready today to make banana bread” window…. Only to have to go buy more bananas that will be ready in a week for my favorite loaf of bread. I realize this is totally a ridiculous first world problem. But it is what it is. Want to make banana bread, but you only have ripe bananas? No worries! Simply pop those babies on a cookie tray, and throw them in the oven at 350 degrees. After about 20-25 minutes, those cute little yellow bananas will be black as night. Perfect for banana bread!! I think I’ve literally made banana bread every week this month. Like I said. Life changing! And while you’re at it, go ahead and try Chrissy Teagan’s banana bread recipe. 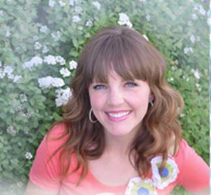 It's the best banana bread recipe I've ever tried!